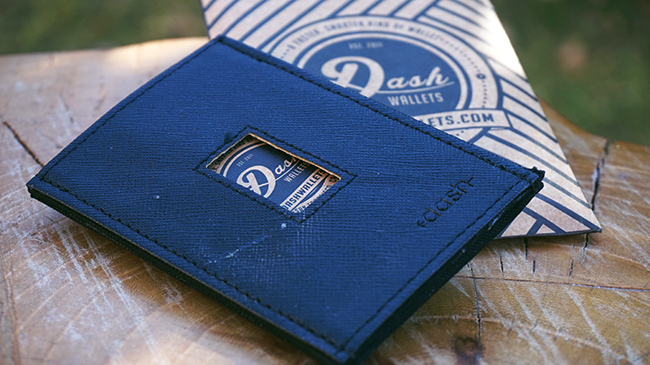 Dash Wallets is rooted in several successful Kickstarter campaigns, all with the goals of creating slim, sustainable, and affordable wallets in San Francisco. Dash never really says if they intend their wallets for front- or back-pocket use, and because of this, I’m pretty sure it’s up to you how you carry them. 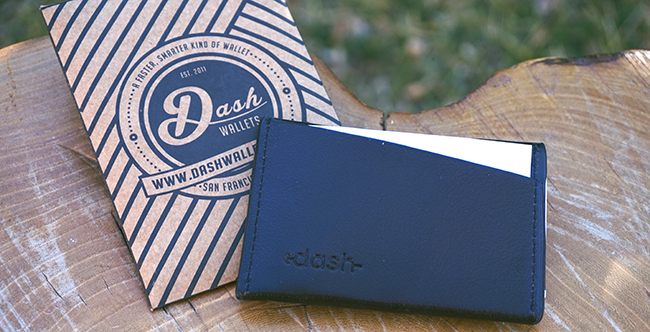 I had the chance to try the Dash 3.0 Saffiano Slim ($40) and the Dash 4.0 ($25) wallets. The Dash 3.0 is a leather (vegan option available) pouch with 2 vertical pockets (see photo immediately above) and 1 horizontal pocket (see top photo). It can easily carry up to about a dozen cards and cash. I’ve been using this model to carry my business cards in my front pocket when I go to business events. The Dash 4.0 is a vertical wallet made from both leather and stretchy material with 2 pockets on one side and 1 on the other. There’s a cutout hole for pushing your cards out easily (see above). Because of the canvas, stretchy side, this wallet holds more cards than the more rigid leather-only models, up to about 20, and I found it very comfortable to carry in my front and back pocket. I like the idea of the canvas stretch material as it keeps the size of the wallet itself to a bare minimum, and when you’re buying a wallet for minimalism, that’s important. This wallet is less rigid than the all-leather 3.0 version. 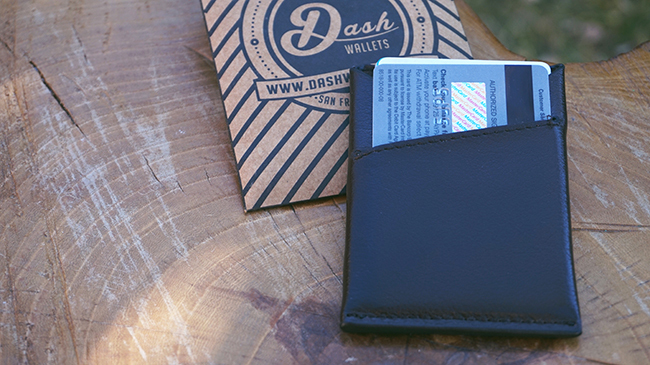 Dash Wallets are available from dashwallets.com and range in price from about $20 to the RFID-blocking versions at about $50. This entry was posted by admin in gifts, reviews, tools and tagged dash wallet, dash wallets, slim wallets, unique wallets, unique wallets for men, unique wallets for women, wallets on March 6, 2017 .